Sandra Tarbox (www.ColonialTable.com) and I recently co-curated a local history exhibition “I Do, I Do: Seacoast Brides Say Yes!” in Newmarket, New Hampshire. When we searched our collections and sent out a regional request for 1940s wedding gowns, we were not surprised that we had little response. 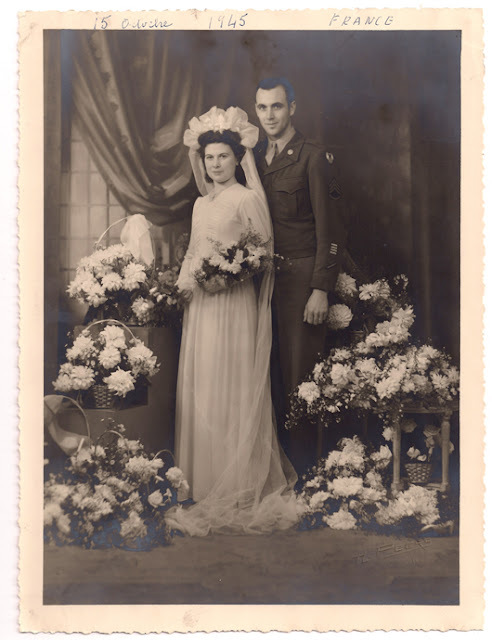 Many of our parents and grandparents married just as their beloved was sent to the European theatre of war.Weddings were frequently small, hasty gatherings. And many brides shared their wedding garb with other brides, passing skirts, jackets or entire dresses along until little was left. 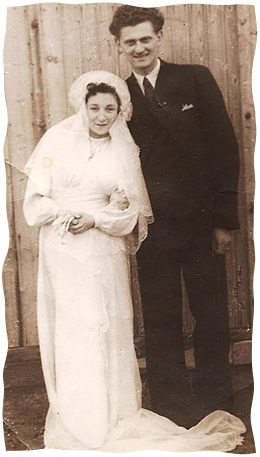 One of the most intriguing examples of surviving World War II wedding dresses are those made from either silk or nylon parachutes. There are surviving examples scattered in museum collections across the country. 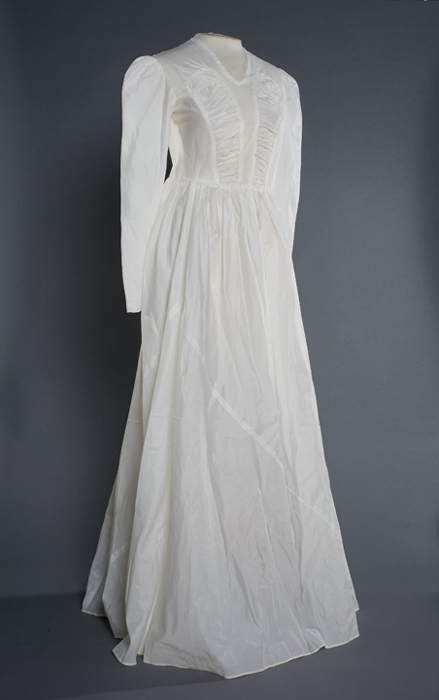 Locally, the Old Berwick Historical Society (www.OldBerwickHistoricalSociety.org) has in its collection the wedding dress of Ruby Weston Trafton of South Berwick, which was made by Betty Trafton, the bride’s sister of a silk parachute. Below are two stories about dresses made from parachutes, which include happily-ever-after endings. The photos and text are courtesy of the National World War II Museum and the Smithsonian Institution. Myrtille Delassus was seventeen when the Germans invaded her hometown of Merville, France. She spent four long years waiting in ration lines, cold and perpetually hungry. She could hear the Allied invasion of Normandy and, like many others, welcomed British and American soldiers when they arrived in Merville. GIs were generous with their surplus supplies, and one soldier, Sgt. Joseph Bilodeau of Berlin, New Hampshire, often gave items to Madame Cocque, the owner of a dress shop across the street from where he was stationed. One evening, Madame Cocque invited Sgt. Bilodeau to dinner to thank him. Since it would appear inappropriate for her to dine alone with him, she invited Myrtille, who worked in her shop. Myrtille and Joseph enjoyed each other’s company and started dating. 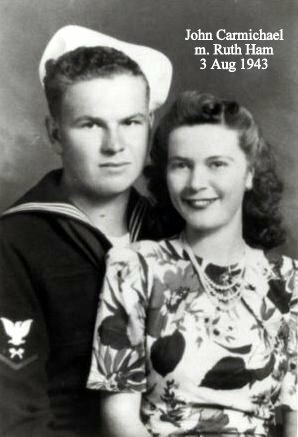 They were married six months later on October 15, 1945, at the church in Merville. 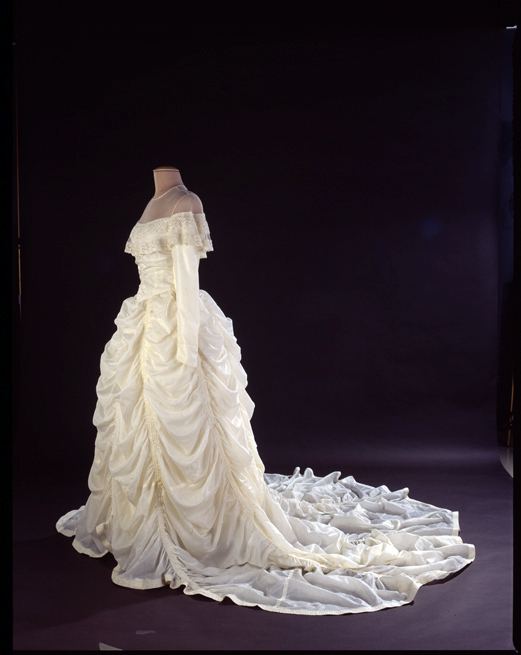 This wedding dress was made from a nylon parachute that saved Maj. Claude Hensinger during World War II. In August 1944, Hensinger, a B-29 pilot, and his crew were returning from a bombing raid over Yowata, Japan, when their engine caught fire. The crew was forced to bail out. Suffering from only minor injuries, Hensinger used the parachute as a pillow and blanket as he waited to be rescued. He kept the parachute that had saved his life. He later proposed to his girlfriend Ruth in 1947, offering her the material for a gown.